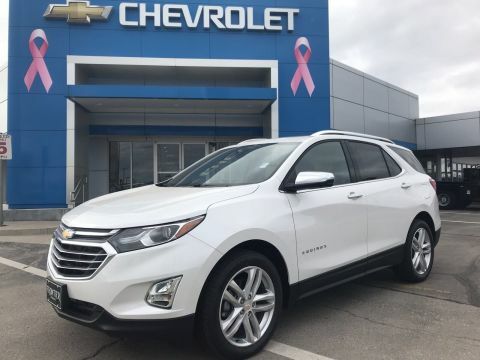 TRANSMISSION, 9-SPEED AUTOMATIC, ELECTRONICALLY-CONTROLLED WITH OVERDRIVE includes Driver Shift Control (STD), SUNROOF, POWER, SUN, SOUND & NAVIGATION PACKAGE includes (Y3W) Infotainment II Package content and (C3U) power sunroof, STEERING WHEEL, HEATED, SEATS, HEATED, REAR, OUTBOARD POSITIONS, SEATS, FRONT BUCKET (STD), SEAT, VENTILATED FRONT PASSENGER, SEAT, VENTILATED DRIVER, SEAT ADJUSTER, FRONT PASSENGER 8-WAY POWER WITH 2-WAY POWER LUMBAR, SAFETY ALERT SEAT. 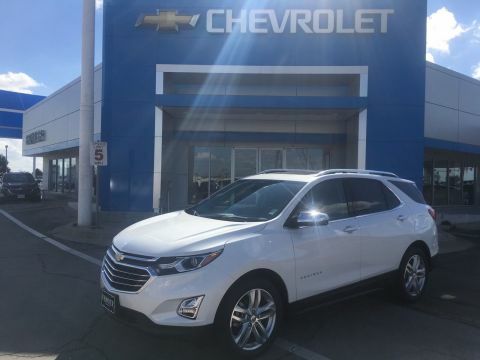 This Chevrolet Equinox has a dependable Turbocharged Gas I4 2.0L/122 engine powering this Automatic transmission. 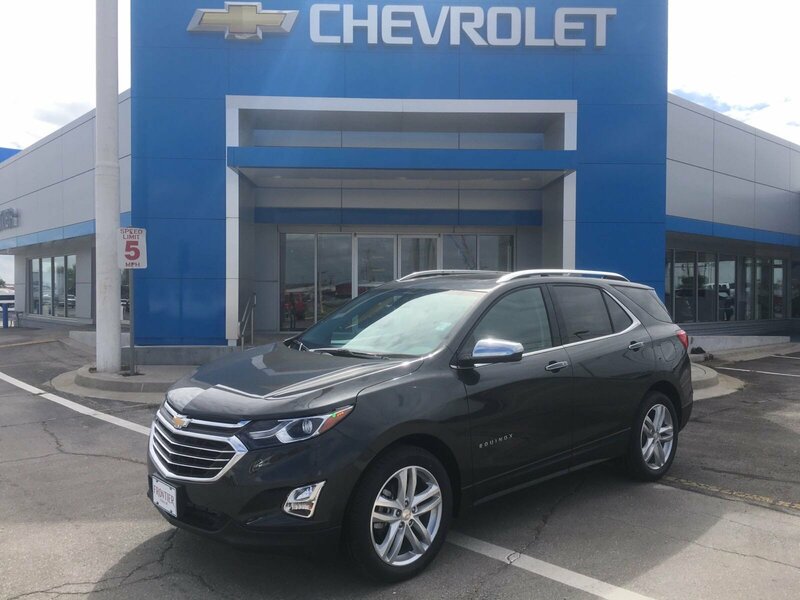 *This Chevrolet Equinox Premier Has Everything You Want *LICENSE PLATE FRONT MOUNTING PACKAGE, INFOTAINMENT II PACKAGE includes (IOT) Chevrolet Infotainment 3 Premium system with connected Navigation and 8 diagonal HD color touchscreen, (UQA) Bose premium 7-speaker system and (U2L) HD Radio, DRIVER CONVENIENCE II PACKAGE includes (UVD) heated steering wheel, (AG2) front passenger 8-way power seat adjuster with power lumbar, (KU1) ventilated driver seat, (KU3) ventilated front passenger seat and (KA6) heated rear seats, DRIVER CONFIDENCE II PACKAGE includes (UHY) Low Speed Forward Automatic Braking, (UEU) Forward Collision Alert, (UHX) Lane Keep Assist with Lane Departure Warning, (UE4) Following Distance Indicator, (HS1) Safety Alert Seat, (UV2) HD Surround Vision, (KSG) Adaptive Cruise Control - Camera, (UKJ) Front Pedestrian Braking and (TQ5) IntelliBeam headlamps, CONFIDENCE & CONVENIENCE II PACKAGE includes (BGP) Driver Confidence II Package and (ZQ3) Driver Convenience II Package content , PREMIER PREFERRED EQUIPMENT GROUP includes Standard Equipment, NIGHTFALL GRAY METALLIC, LOW SPEED FORWARD AUTOMATIC BRAKING, LANE KEEP ASSIST WITH LANE DEPARTURE WARNING, JET BLACK, PERFORATED LEATHER-APPOINTED SEAT TRIM, HEADLAMP CONTROL, INTELLIBEAM AUTO HIGH BEAM, HD SURROUND VISION, FRONT PEDESTRIAN BRAKING, FORWARD COLLISION ALERT, FOLLOWING DISTANCE INDICATOR, ENGINE, 2.0L TURBO, 4-CYLINDER, SIDI, VVT (252 hp [188.0 kW] @ 5500 rpm, 260 lb-ft of torque [353.0 N-m] @ 2500 - 4500 rpm) (STD), AXLE, 3.17 FINAL DRIVE RATIO, AUDIO SYSTEM, CHEVROLET INFOTAINMENT 3 PREMIUM SYSTEM WITH CONNECTED NAVIGATION, 8 DIAGONAL HD COLOR TOUCHSCREEN AM/FM stereo, Bluetooth audio streaming for 2 active devices, Apple CarPlay and Android Auto capable, enhanced voice recognition, additional memory for in-vehicle apps, cloud connected personalization for select infotainment and vehicle settings. 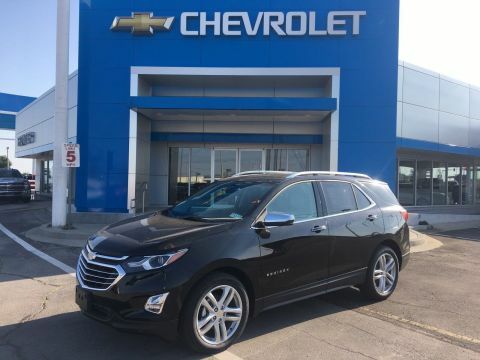 Subscription required for enhanced and connected services after trial period., AUDIO SYSTEM FEATURE, BOSE PREMIUM 7-SPEAKER SYSTEM, ADAPTIVE CRUISE CONTROL -CAMERA. 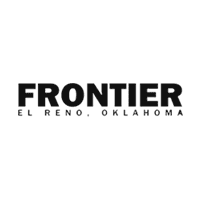 *Visit Us Today *Test drive this must-see, must-drive, must-own beauty today at Frontier Chevrolet, 1640 East Highway 66, El Reno, OK 73036.